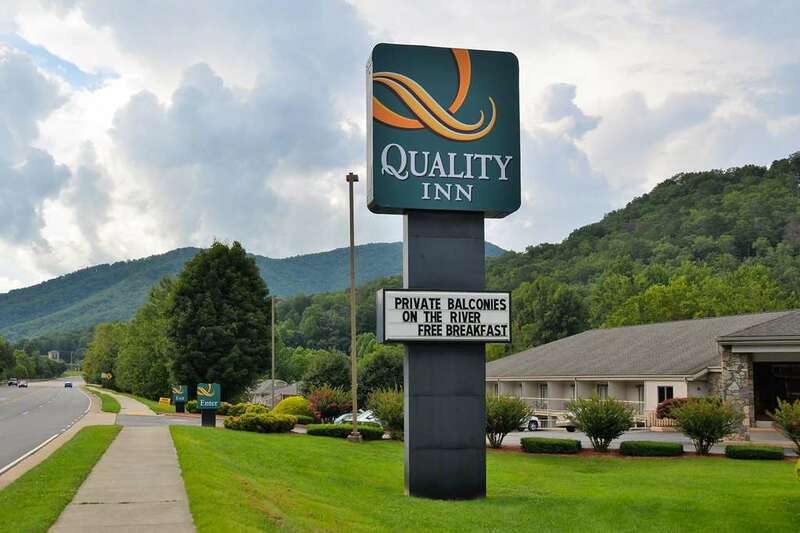 Get more for your money when you stay at our Quality inn hotel in Cherokee, NC. We are conveniently located near the Unto These hills Outdoor Drama, Harrahs Cherokee casino, Nantahala Outdoor center, Western Carolina University and the Great Smoky Mountains Railroad train tours. We offer every guest a free breakfast, free WiFi, free coffee and free weekday newspaper. Relax in one of our guest rooms, all of which feature a coffee maker and TV. Also, earn rewards including free nights and gift cards with our Choice Privileges Rewards program.